The Gulf Cartel has a hold on cities in Texas’ tip and coastal bend. McAllen, Brownsville, Corpus Christi, Galveston, Houston and Beaumont are impacted most by the Gulf Cartel which mostly brings marijuana and cocaine into the area, according to the DEA. Drugs smuggled through the Gulf Cartel are mostly brought in through the area between the Rio Grande Valley and South Padre Island. Every week in Houston, a relative of a Gulf Cartel leader receives 100 kilograms of cocaine, according to the DEA. Moving West, Los Zetas control two cities and the Juarez Cartel has a hold on Alpine, Midland, El Paso and Lubbock. The Sinaloa Cartel, formerly run by prison escape artist Joaquin “El Chapo” Guzman,” is most found in Dallas, Lubbock and Fort Worth, according to the DEA. Martin had been running an operation illegally siphoning fuel from pipelines. Apparently hit men of a rival gang burst into the doctor’s office and executed him. The business has become Mexico’s second-biggest organised crime after drug trafficking. 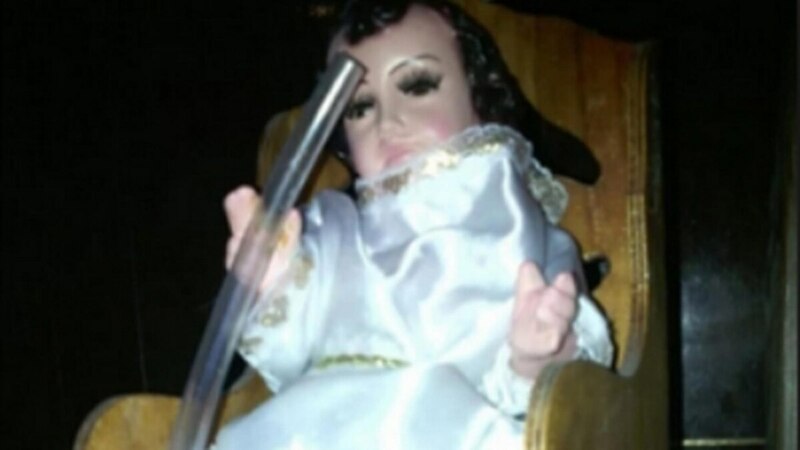 Jesus Martin was known as a “Huachicolero” or a “chupaducto” (pipesucker). He had been running an operation that illegally tapped pipelines, stealing fuel for cheap resale. The “Huachicoleros” siphon off the fuel and then sell it on at half the market price on busy highroads, costing Mexico’s oil company millions of dollars in lost revenue. Infobae (link in Spanish) has a long report on the gangs’ tactics, including US$600 monthly payments to local families for their cooperation. Puebla authorities havee identified two crime bosses in the area, ‘El Bukanas’ and ‘El Toñín’, both members of Los Zetas cartel. Until the fun runs out, as it did for El Kalimba. The case has stoked fears drug cartels could soon target the U.S.
Mexican Federal Police arrested four men Oct. 20 in Guanajuanto who were driving a stolen vehicle equipped with a 3DR Solo Quadcopter drone attached to an IED, Small Wars Journal reported. The drone had a range of about half a mile, but modifications would have allowed it to fly farther. Gunmen belonging to a Mexican cartel planned to use a drone as a weapon by strapping an improvised explosive device to the popular flying tech. The new tactic was unveiled in a region seeing a sharp spike in cartel violence. The drone was seized by Mexican authorities during a vehicle inspection in the central Mexican state of Guanajuato. Authorities stopped a white 2015 Mazda transporting an AK-47, ammunition, and a FLY 3DR drone with explosives attached. Inspectors found a cell phone they suspect would be used to detonate the device. The seizure comes at a time when members of Cartel Jalisco Nueva Generacion (CJNG) are working to take control of Guanajuato. The region was previously controlled by Los Zetas. A local cartel known as the Cartel de Santa Rosa de Lima, believed to be made up of Zetas, is openly challenging the CJNG. As Breitbart Texas reported, Guanajuato is a prized territory for the theft of fuel. The cartel violence has manifested itself in attacks against police officers to boost recruitment for the CJNG. Mexican authorities consider the case a matter of national security. Patrick Corcoran writes about What Three New Books on the Zetas Tell Us About the Legendary Crime Group. But there were early signs that the Zetas were not a run-of-the-mill outfit of toughs. Their roots in the special forces of Mexico‘s army, including reports that founding members had received training from the United States, bestowed upon them an air of sinister competence. This was coupled with an unprecedented emphasis on firepower: The Zetas‘ outsized arsenals –grenades and automatic weapons became standard– sparked something of an arms race across Mexican criminal groups, which multiplied the group’s destructive impact far beyond its specific area of operation. The Zetas‘ emergence also offered a hint of the challenge for the Mexican state: Not only were the country’s best and brightest forces incapable of defeating the cartel threat, they were also working on the wrong side of the law. It wasn’t just that the Zetas were more bloodthirsty than their peers, but that they used this attribute to evolve into a new sort of entity. The Zetas‘ taste for violence was intimately linked to their existence not as a mere drug trafficking organization, but as a criminal conglomerate, with an appropriately diverse range of activities: extortion, human trafficking, retail drug sales, piracy, kidnapping, and black-market oil and gas sales. Read the article, buy the books. Executive Vice President Tareck El Aissami and Venezuelan financier Samark Lopez were placed on the Office of Foreign Assets Control blacklist, the Treasury Department said in a statement Monday. The list freezes their assets in the U.S. and blocks U.S. companies and individuals from doing business with them. The Treasury department on Monday said Mr. El Aissami, as Interior Minister, was paid for using his control of Venezuelan air bases, ports and highways to facilitate drug shipments from Venezuela and Colombian druglords as well as Mexico’s Los Zetas drug cartel. Spain to extradite El Mono to the U.S.
Last October, EL PAÍS revealed that Excel spreadsheets stored on two computers seized at his residence detailed the handover of 59 items of luggage containing millions of euros to Zetas bosses at downtown hotels in Mexico. Accounting records show the money, which totaled €63 million, came from the sale in just six days of 2,100 kilograms of cocaine that the Zetas cartel had shipped into Spain. Spain will now hand over Muñoz to the US, Spanish news agency EFE reports. US authorities suspect the Mexican citizen of having headed up, from the late 1990s to 2015, a drug trafficking ring with links to the Zetas, and which imported cocaine into the US from Mexico. The DEA suspects that El Mono used a chain of gas stations he owns in Mexico to launder his drug money. Last month El País notified Mexican authorities about an order given by Muñoz in Madrid for the assassination in Coahuila of an official at the public prosecutor’s office, but Mexican authorities did not follow up on the information. In related news, a high-ranking Zeta alleges that he and El Mono paid the former governor of Coahuila, Humberto Moreira, US$2 million for allowing the cartel to operate in the state. The leaders of two of the most powerful drug cartels in Mexico gathered to strengthen alliances, draw new routes and territories for the smuggling of drugs, and discuss battle plans against shared rivals. The meeting was exclusively confirmed to Breitbart Texas by a witness to the event. Last week, while the world tuned in to the U.S. elections, the leaders of the Gulf Cartel in Matamoros met with their counterparts of the Los Zetas Vieja Escuela (Old School Z), in an effort to solidify an alliance dubbed the “Carteles Unidos” (United Cartels). Mexican federal intelligence officials separately confirmed the accuracy of the meeting witness’ claim to Breitbart Texas. According to the witness, both the Zetas Vieja Escuela and the Gulf Cartel in Matamoros have been carrying out a “cleanup”, where they have gone after kidnappers and robbers in an attempt to resurrect the times when cartels simply moved drugs and left average citizens alone. Breitbart Texas has reported in some of these cases that have included the executions of kidnappers and the torture of robbers. The CDN faction of the Los Zetas as well as the Gulf Cartel in Reynosa are believed to actively promote kidnapping, extortion, and other crimes to diversify their cash flows. A cartel is an organization created from a formal agreement between a group of producers of a good or service to regulate supply in an effort to regulate or manipulate prices. In other words, a cartel is a collection of otherwise independent businesses or countries that act together as if they were a single producer and thus are able to fix prices for the goods they produce and the services they render without competition. InSight Crime analyzes What a Trump Presidency Means for LatAm Organized Crime. Last week, the White House quietly, and unnoticed by any news organization, released the 2015 heroin production estimate for Mexico—it was another huge spike upward to an historic level. The amount of pure heroin produced in Mexico rose to 70 metric tons in 2015, a 67-percent increase over 2014, and a 169-percent increase over the 2013 estimate of 26 metric tons. Nearly all Mexican heroin is targeted at the United States. This flood of heroin is driving overdose deaths and the new estimate indicates that deaths will increase. Mexican cartels are seeking to create new consumers of heroin by flooding the U.S. market with a cheaper and purer version of the drug. Facing little recent resistance from either Mexican or U.S. leadership, their surge in production and supply-side business plan has demonstrated deadly effectiveness.